The two Advanced Choirs of Mid-Carolina High School attended the South Carolina Music Educator’s Association State Choral Performance Assessment on Monday, March 26, 2019. Both choirs prepared two pieces and performed them in front of a panel of 3 judges and then Sight Read a full length piece and are graded on their ability to perform the piece after 6 minutes of study time. 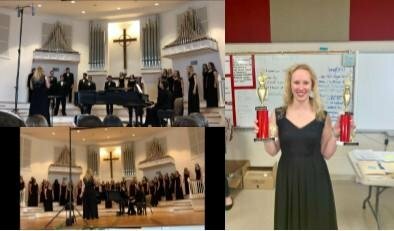 Bel Canto (advanced women) received an overall Superior Rating and Chamber Choir (advanced mixed) received a straight Excellent rating. This is based on a Fair, Good, Excellent, Superior rating, with Superior being the highest rating given. Congratulations choir members!! !